When not clicking away on a keyboard, C.K. Larsen enjoys hiding under the shadows of pine trees and slaying dragons with amazing sneak attacks on Skyrim. This avid gamer and uber anime fan channel her hobbies into her novels, letting them fuel crazy adventures and wild characters that wreak all sorts of havoc. She has been a writer and artist since her childhood. Every paper, worksheet, or sketchpad she owned (or not) always housed numerous drawings and short stories that captivated her through the mundane hours of the day. It wasn’t until middle school that the writing bug hit hard, and she started out writing her own fan fiction. C.K. continued her artistic talents through high school but struggled with her path in college. After realizing her love of writing, she obtained her bachelor’s degree in English in 2015 with a focus in Creative Writing. Along her journey, one of her short stories, Night Mother, won the Fiction Short Story category from 2016 On My Own Time Awards with the DFW Business Council of Arts. 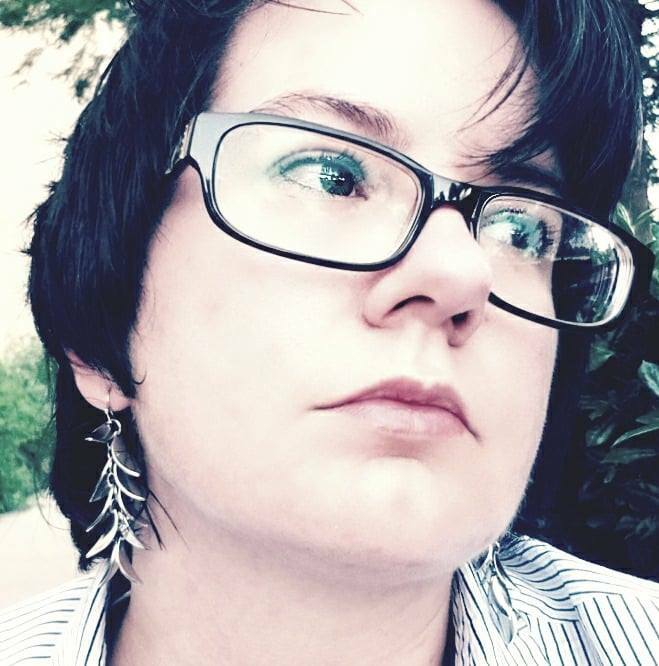 In 2017, her manuscript placed as a Finalist in the SFF category of the Writers’ League of Texas Manuscript contest. Her novel, Theme Song Panic, was published in October of 2018 and released as her debut novel in the YA Urban Fantasy genre. Some of her favorite novels include Frankenstein, the Hunger Games series, Dracula, The Dresden Files, the Mistborn series, and the Kate Daniels series. Despite the chaos of life, she believes the best things are not always the easiest to achieve. Please enjoy the site and be sure to follow her on Twitter!